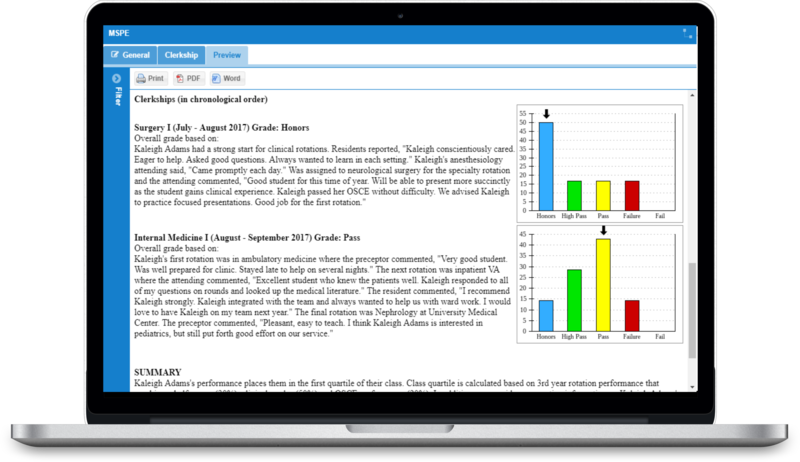 eMedley helps medical schools (MD and DO programs) map and track curriculum, monitor student performance on assessments and evaluations, and manage every aspect of scheduling, documentation, the MSPE, and clinical experience tracking. Medical schools have rapidly changing information tracking requirements. 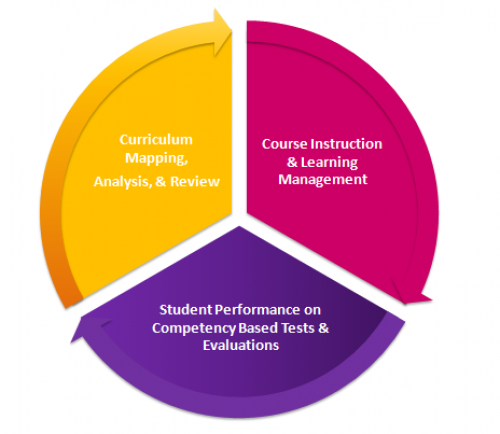 The move towards competency-based education (CBE) and the need for more assessment of key knowledge and performance outcomes (EPA’s) requires an extremely scalable solution. 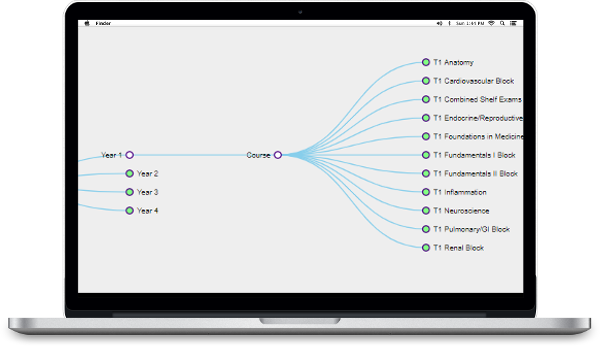 eMedley is the most comprehensive system for Medical Schools and covers all key areas including Curriculum Mapping, Learning Management, Student Documentation, Scheduling, Testing and Assessment, Evaluations, and Experience Tracking. Incorporate all aspects of course management into one easy to use LMS system. It’s easily updated and allows for mass communication and calendar updates, saving you time and energy. Centralize all documentation and information related to clinical sites, logistics, credentialing, federal designations, type of practice, affiliation agreements, and contract expiration (with automatic notifications). eMedley takes the headache out of mapping test questions and learning objectives. Let us preload AAMC standards and Core EPA competency and allow you to run meaningful reports to evaluated gaps and overlaps in student learning. Medical students travel all over the world for residency. Don’t let the distance interfere with the collection and storage of important documents. Document management with eKeeper is fast, efficient and updates/uploads can be viewed at any location. As an AAMC Curriculum Inventory Participating Vendor, eMedley supports annual upload of curriculum content from eCurriculum to AAMC. eMedley ensures compliance with contract requirements, institutional requirements and site location requirements. All in one place and all easily accessible by students, sites and administrators. 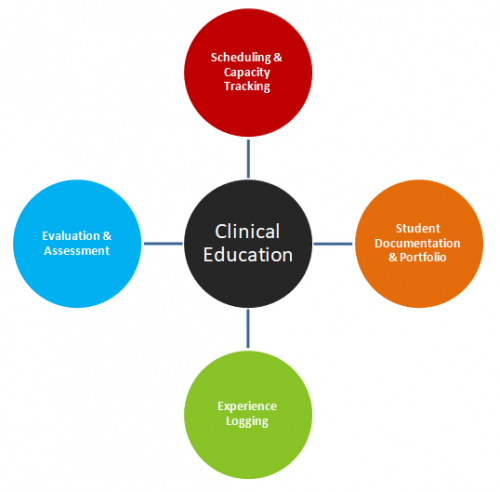 eduSched is designed to work with many types of clinical scheduling. 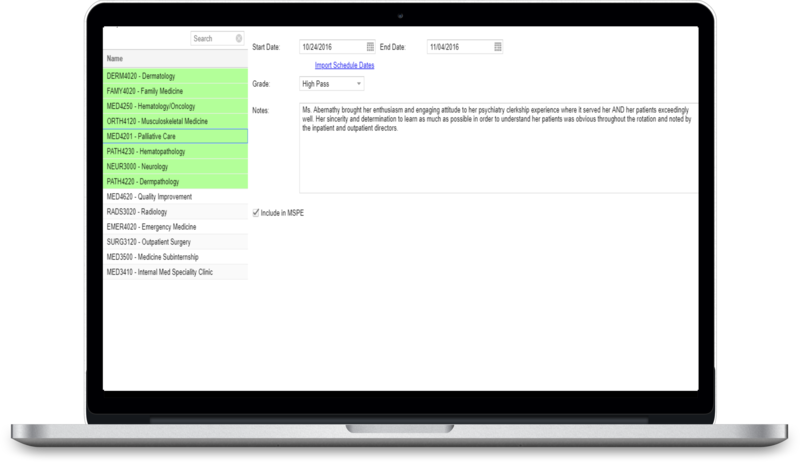 Specify rotation paths, enforce capacities for clinical sites and preceptors, track student preferences, and automatically generate schedules using a single application. 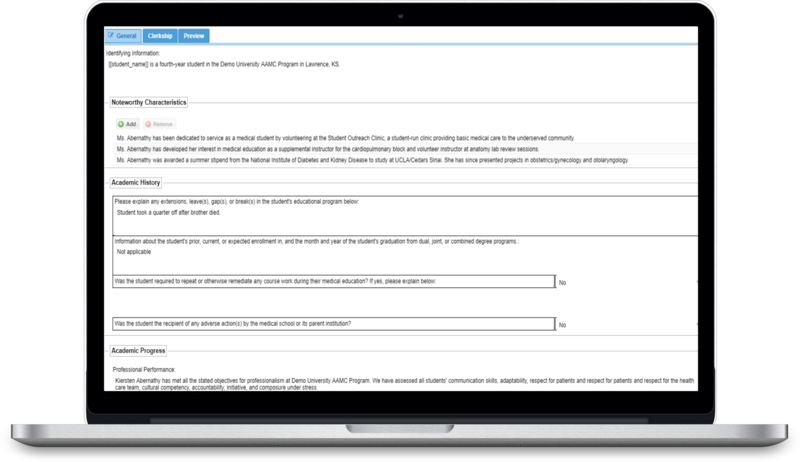 Our eValuate application makes it easy to assign evaluations for students to evaluate courses, faculty, sessions, and even other students. eValuate’s robust reports allow you to see where your program is excelling and where improvements are needed. Administer course and instructor evaluations, formative and summative assessments,competency-based evaluations tied to EPA’s, clinical site and preceptor evaluations, student performance evaluations, self-evaluations, and OSCE’s. Let us know what you are tracking (PCRS, AACOM, MeSH, USMLE, EPAs) and we’ll preload them in for mapping. Our robust Mail Merge interface make it easy to send all sorts of personalized emails to students, faculty, preceptors, and site contacts. Save email templates that you can use again with placeholders for dynamic data. 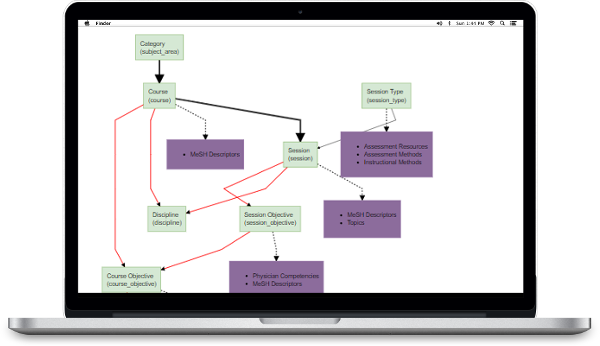 Generate course syllabi with sections that are specific to your program’s requirements and dynamically load content based on the course’s alignments, objectives, and sessions. Export the generated syllabi to Word. 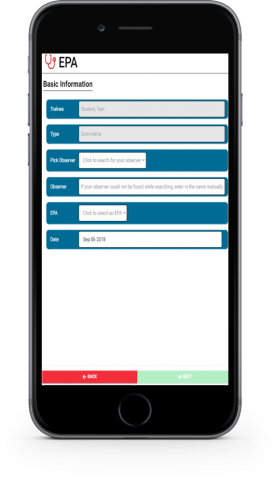 eCLAS’s Case Log interface allows for comprehensive logging of patient cases including patient demographics, clinical information, ICD-10 diagnoses, CPT procedures, and program-specific competencies. Curriculum Mapping: Map where, when and how students are learning Physician Competencies, Topics, and EPA Competencies Course and Session Objectives, and Program Objectives. Scheduling: Set rules, requirements, and capacity for Year 3 and Year 4 clinical scheduling. 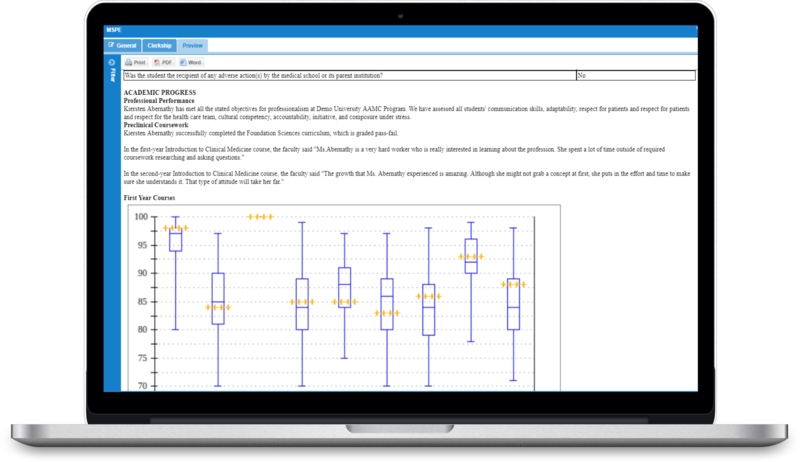 Use a wide variety of tools to easily create any aspect of the MSPE letter, from graphs to CV headers to noteworthy characteristics. 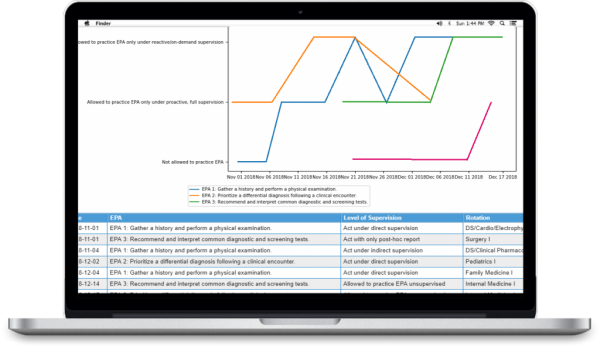 Create each MSPE letter, automatically generating relevant graphs from your integrations such as clerkship or coursework performance. Allow students to enter their own Noteworthy Characteristics, then review and enter content as needed. Customize a common template for the MSPE letters with custom fields, default text, pre-populated placeholders, clerkship schedules, grades, custom CV headers and more. 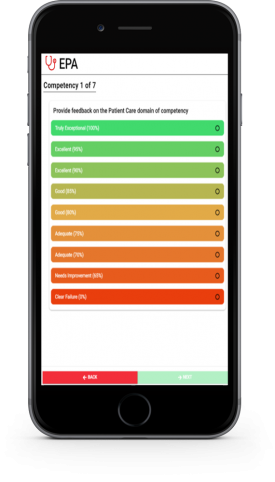 Pull in preceptor comments from eValuate , clinical schedules from eduSched, and grades from eduCATE with the ability to make modifications as needed. Ensure that students are ready for residency with our EPA module. Painless evaluations with powerful reporting. eMedley supports the AAMC Curriculum Inventory and other custom data exports to meet the specific needs and requirements of accrediting bodies and other organizations. Supports customized curriculum format to meet university specific needs. 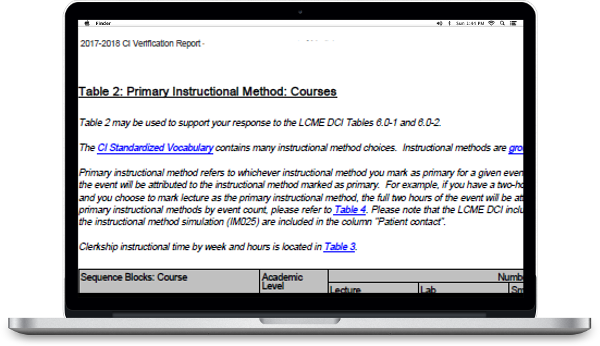 Converts curriculum data from customized format to AAMC Curriculum Inventory format. Generates the curriculum inventory file and exports for direct upload to the AAMC CI portal.